Do you remember when Martinsville had a concrete pool? MARTINSVILLE-How did people stay cool in the summers of the 1920s? At that point, Fairystone Park and Philpott Lake had not been built yet. Some may have ventured into the Smith River or nearby creeks. 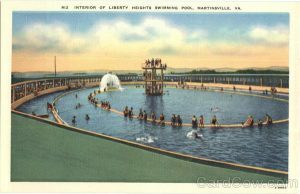 But when the Liberty Heights Pool was built, things changed for some local residents. George Tilden Lester, known as Cap’n Til, was a man who moved mountains and loved every minute of it. During the years he had owned and operated a sawmill that later became Lester Lumber Company, he had experienced losses from several fires. Determined that it wouldn’t happen again, he built a two million gallon concrete reservoir in the city around 1920. The mountain he cut down was over two hundred feet higher when he started. He used mules, horses, and drag pans to cut down the mountain. He pumped two million gallons of water up the hill from Jones Creek to the reservoir through fourteen-inch pipes at the rate of 6,000 gallons per minute. Twelve-inch pipes carried water down to the Lester Lumber Company in hopes that if needed, the gravity fed system would suppress any fires. According to Tom Perry in his book, Toiling Upward, the local Kiwanis Club asked Lester for a contribution to build a new swimming pool. Lester suggested turning his fire reservoir into a citywide recreation center instead. Low cement walls divided the pool into various depths. The pools circumference was 1,000 feet. It cost $100,000 to build over 16 months. That’s equal to $1.223 million in 2018 dollars. Workers hauled 25,000 bags of concrete, each weighing 100 pounds, to build an oval pool of 260 x 130 feet. The three tiers of circular concrete looked like a spider web. The outer circle was an 18 inches deep “baby pool,” another, 4 feet deep; and the center sloped to 12 feet with a diving board in the center. The diving platform was three-tiered with a 20-ft high dive. Water was pumped into the pool via a “fountain” and was filtered every six hours. The aeration/filtration systems cost $50,000 to build. There were five filters, which all the water went through every six hours keeping algae from growing in the pool. When water levels grew low, a flag signal started the pumping from Jones Creek to the swimming pool. The New York City Department of Public Works after studying the design called it an engineering marvel. When the pool officially opened on July 4, 1926, it could hold 2,000 swimmers. Admission was 50 cents for adults and 25 cents for children and spectators. News reports at the time show that people from Roanoke, Danville, and Winston-Salem all came to swim. The massive building around the pool looked like a coliseum. It had locker and dressing rooms in the lower levels as well as a concession stand. The upper level was a dance hall pavilion with an oak floor that was also used for roller skating. It was 200 by 83 feet with room for 500 couples on the dance floor at one time. It had around 150 standard size windows which allowed breezes into the area on hot days. There were mirrors between the windows to give the room a more spacious appearance. Lester had a short two-track railroad setup with a winch that was used to pull carts of food and other items from the ground level to the pavilion level, where bands and singers performed. 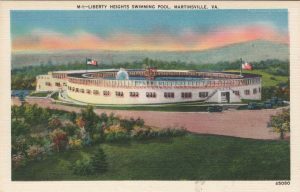 Martinsville attorney Douglas Frith, who passed away in 2013, talked about the pool in some of his writings that were shared with the Heritage Center. Frith also recalled a concession stand toward the edge of the “baby water” wading pool. So why aren’t we using Liberty Heights today? There were several issues that happened over the span of nearly 30 years, beginning in 1931. In 1931, the roof was blown off the building. Instead of replacing it, the oak floorboards were ripped off the dance floor and it was turned into a sunbathing deck. In 1957, the city annexed the land of Lester Lumber Company, so city water flowed into the fire suppression system at the lumber plant. The reservoir was no longer needed to suppress fires. At that time, there were also problems with the pool’s filtration and aeration equipment, as it was getting old. The pool closed at this point, because it was no longer feasible to operate. The pool and building were torn down in 1988. It took six months to take down and carry off approximately 2 1/2 million pounds of concrete. The site became the home of the Liberty Fair Mall, which is now the Village of Martinsville shopping complex. 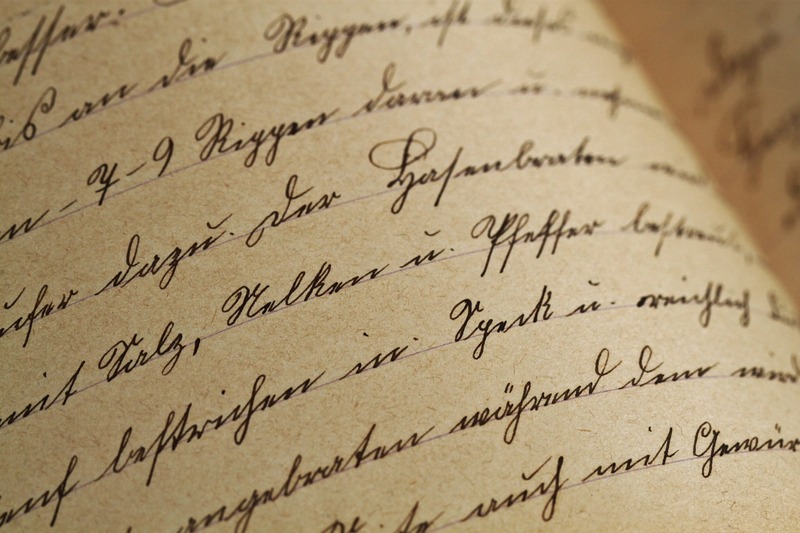 Sources: The Way It Was in Henry County and Martinsville by Virginia Windle, Toiling Upward by Thomas D. Perry and Martinsville & Henry County Historic Views by the Martinsville & Henry County Woman’s Club. Avis Carter Turner Growing up in Bassett: What was life like in Bassett? The point as to why the pool was closed is not properly addressed. What is said is not what he told me.Throw me up! I hope the Republicans who were the cause of this to happen boil not in their own pudding but the blood, sweat and tears of good and honorable AMERICANS. May you NEVER rest in peace. Cap’n Till clearly stated why the pool was closed. The reason the pool was closed was in the article submitted to the Bulletin. The Bulletin took it out.